With a 2–1 victory over Utica College, the field hockey team secured the No. 1 seed in the Empire 8 Conference Championship. The win was the team’s fifth straight victory of the season. 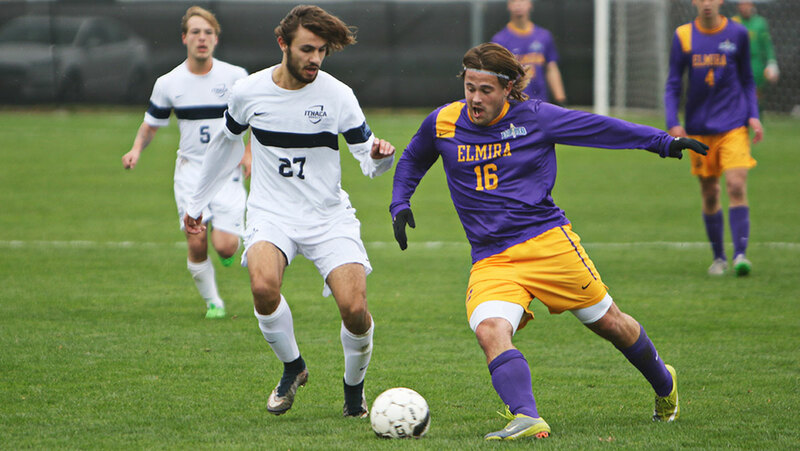 The men’s soccer squad defeated the Elmira Soaring Eagles on Oct. 24 at Carp Wood Field on Senior Day. The team is now only one win away from securing a spot in the Empire 8 playoffs. The women’s soccer team drew a 0–0 tie against Nazareth College on Oct. 24. The volleyball team swept both its home matches against Hartwick College and St. John Fisher College on Oct. 24 at Ben Light Gymnasium. Senior wide receiver Josh Oliver set the school record with 16 receptions during the 24–12 loss to Morrisville State College on Oct. 24 at Drake Field. Football beat writer Andrew Sullivan outlines four insides into the game against Morrisville State College at 1 p.m. Oct. 24 in Morrisville, New York. The Bombers were able to notch a 3–2 win in five sets over SUNY Oneonta on Oct. 20 to improve its record to 23–3 on the season. After a big win over Empire 8 competitor St. The women’s tennis team took home first place in the Empire 8 tournament on Oct.
On Oct. 17, the football team fell to 4–2 on the season after its 27–17 loss to SUNY Brockport at Butterfield Stadium. The volleyball team fell to Wellesley College on Oct. 16, but rebounded the next day with two sweeps of Southern Maine University and Babson College. After a 3–0 win against last place Empire 8 opponent Nazareth College on Oct.